After leaving the craziness that is Austin, TX during SXSW, I’m pleased to have touched down in San Jose this afternoon. 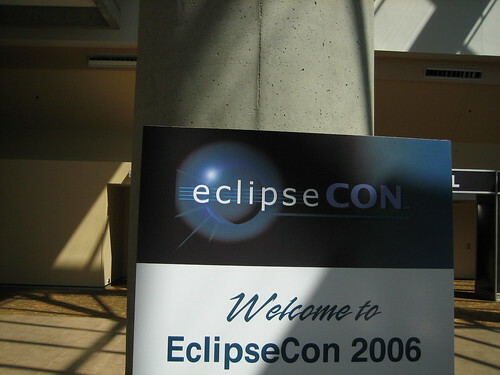 I recommend everyone at the conference hang out in #eclipse-con on IRC. If you’re new to IRC, I recommend grabbing the ChatZilla client for firefox or stopping by the IRC BOF that should happen sometime during EclipseCon.